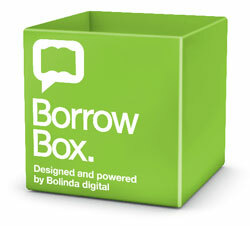 Borrow Box is a growing collection of eAudiobooks and eBooks. You can also download using your PC for reading eBooks on an eReader; you will need to use Adobe Digital Editions to save eBooks to your PC. If there is something you would like to read or listen to, we welcome your suggestions. Start listening to eAudio or eReading! For eAudiobooks you will need to unzip and import media files to iTunes or Windows Media Player5. Bolinda eAudiobooks are device neutral, and will play on all MP3 devices (including iPod). Note: eBooks available through BorrowBox are not currently compatible with Kindle eReaders.